Lulu's Garden: Putting The Grass Back Into Your Grass! Putting The Grass Back Into Your Grass! Scarification. This involves raking out the moss which has taken hold in your lawn. You can do this with by hand using a spring-tine rake but using a mechanical scarifier can give better results and give your arms a break. Apply spring fertiliser. 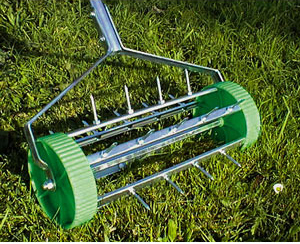 This will give your lawn a great new start to the growing season. 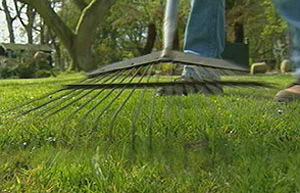 Apply grass seed to sparse areas of the lawn and top dress as required. We recommend repeating the above steps again in winter to keep on top of moss. Aerate the soil. Where the lawn is just slightly mossy then this can be done by adding holes using a garden fork. In more problem areas then using a multi spiking tool will help or a special hollow-tining tool will remove plugs from the lawn. 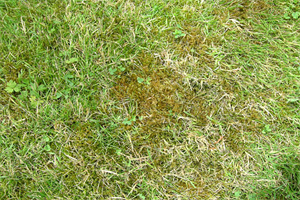 On particularly acidic soils we would recommend applying a lime solution to help the grass. If after all that your lawn isn't showing signs of improving, there could be underlying drainage problems. This is a particular issue with new-builds where builders don't adequately prepare the site. In such instances considerations such as laying new drains or swapping for artificial grass could improve matters. 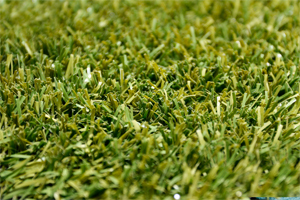 Or alternatively we could give advice on a different finish to your garden if grass is not essential. For more advice and free quotations for tackling your lawn please get in touch.